Speedball Acrylics offer vibrant paints at economical prices. Just add imagination! 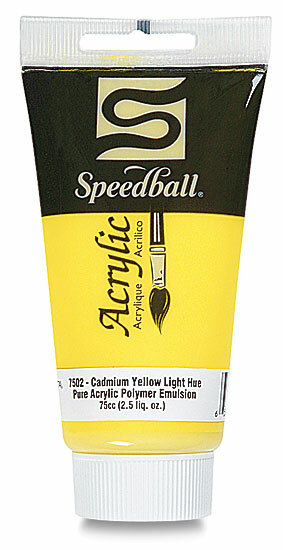 This archival, water-based paint extends well when mixing. It is highly lightfast, dries quickly, and is water-resistant when dry. The paints have no harmful pigments, and are cadmium and cobalt-free. 2.5 oz (74 ml) tubes. Introductory Set — This set includes Ultramarine Blue, Titanium White, Quinacridone Red, Warm Black, Cadmium Yellow Light Hue, and Burnt Sienna. Available in 2.5 oz (74 ml) tubes.